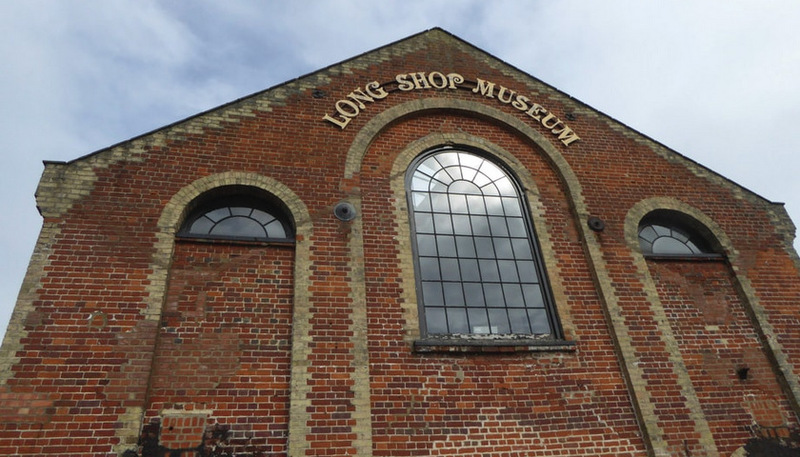 The Long Shop Museum warmly invites everyone with links to Garretts Engineering Works in Leiston to come along on the afternoon of Wednesday 6th September, and share all and any stories and anecdotes about this industrial hub in rural Suffolk. Much of Leiston was taken up with the physical site of Garretts Works which encompassed both the Bottom (or Town) works, now the museum, as well as the Top (or Station) works, which is now the Masterlord Estate, and they would love to capture some of the memories of those connected to ‘the Works’ in advance of putting together an oral history project to record workers stories for possible use in our planned new displays and to keep on record for future generations. Opened in 1778 by Richard Garrett, production in steam, diesel and electronics continued for over 200 years, and the works were not only an extensive part of the town’s built environment, but the town’s major employer until it closed in 1980. Engineers, clerks, draughtsmen, book-keepers, salespeople, technicians and more would cross through the factory gates on a daily basis and the workforce included several generations of local families. If you are an ex-employee, or a family member of one, they want to hear about your experiences and your relatives who worked here; what they did, what you remember, what workers wore, what hours you/ they worked, what you/ they did for lunch, what pay and working conditions were like. Equally, what was it like to be an apprentice? What was it like to be a woman working at Garretts? Entry to the museum will be free for participants and this is a great opportunity to look at and, if possible, bring along photos, payslips, or any other documentary snippets to provide evidence of times gone by and talk to others who worked there, or their relatives, as well as to museum staff and volunteers. The Garretts gathering will take place from 2-6pm as an informal drop in session with tea, coffee and cakes available. It would be brilliant if you could be part of the living history event in order to help draw the fullest possible picture of life at Leiston Works and make it meaningful and accessible for future generations.